In ancient times, Jewish farmers celebrated the 15th of Shevat as a day of renewal; the Talmud declared the date as the start of collecting fourth-year produce from the farmers’ trees, for a first-fruit offering to the Temple. It was a harvest of God’s offerings, and a sign of the season to come. But the holiday was nearly lost forever in history after the destruction of the Second Temple, in 70 CE. For centuries, all fruit offerings were lost, without a home to celebrate them. It wasn’t until the kabbalists of Safed in the Land of Israel revived the age-old holiday during the 16th century that Tu Bi’Shvat returned to our tradition. This would become known as the “Feast of Fruits,” which is what we celebrate today. Now, we welcome Tu Bi’Shvat as the “new year” or “birthday” of our trees. While the late January date changes each year in accordance with the Jewish calendar, it is recognized as a time to celebrate our Earth’s beauty by encouraging ecological activism, and the protection of God’s offerings. When Zionists first returned to Israel in the 1930s, Tu Bi’Shvat was a day to plant new trees as a symbol of rebirth in an old land. 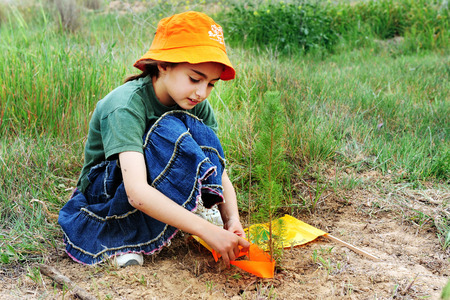 Today, many people of the Jewish faith plant trees locally or donate planted trees throughout Israel. In addition, the ecologically important holiday is heralded by a meal in the same fashion as a Passover Seder, which involves foods native to the Holy Land, like wheat, barley, grapes, figs, pomegranates, olives, and four glasses of wine. On this fateful day, we remember a line from Deuteronomy: “Man is a tree of the field.” We welcome our brothers and sisters with a Chag Sameach, and remember our responsibilities as stewards of our precious plant, given to us by God. With Rabbi Richard Polirer, we welcome Tu Bi’Shvat and other meaningful Jewish celebrations each and every year! Do you feel a strong connection to the earth and Tu Bi’Shvat? Honor both the planet we live on and the celebration of its harvest here.